To meet the segregated demands of the clients, our firm is offering them Cold Rolled Sheets in varied designs, shapes, sizes and grades. All these products are collected from some of the leading vendors who manufactured the offered products with top-grade raw material. We are offering these products with assurance of timely delivery in order to enhance the clients' convenience. 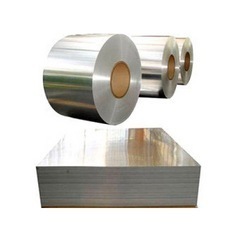 These products are know for their high strength, formidability, dent resistance, excellent magnetic and welding properties. Carving a top position in the industry, we are engaged in trading, supplying and wholesaling of a broad array of Hot Rolled Sheets. To meet our patrons' specifications, all these products are procured only from the leading vendors. Our vendors used fine-grade raw material for manufacturing these products in accordance with the industry defined standards. Offered products are highly suitable for vehicle manufacturers, packing vessels, manufacturing containers and varied other applications. Silicon Modified Polyester (SMP), Super Durable Polyester (SDP), Poly Vinyldene Fluoride (PVDF) and Vinyl Coated Metal (VCM). The base metal has the first layer of primer coating on both, top and bottom surface for superior adhesion with the paint system. The final paint coating provides additional protection to withstand harsh weather conditions and other factors affecting longer life. The superior coating technology resists cracking and peeling even during heavy forming operations. 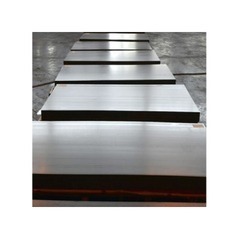 Paying utmost attention to the demands of our clients, we are offering them an excellent range of Galvanized Plain Sheets which are collected from the leading vendors. We are providing all these products in varied sizes, dimensions and shapes. Our clients can avail all these products from our organization at affordable price range with assurance of timely delivery. We have appointed a team of distinguished quality auditors which test the offered products on different parameters. It ensures these products to comply with the international quality standards. We are recognized in the industry as a leading trader, supplier and wholesaler of an exclusive array of Galvanized Corrugated Sheets. With the help of our diligent procuring agents, these products are sourced from the well-established vendors of the market. 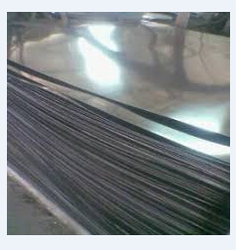 At our vendors' end, these products are manufactured with premium-grade steel implementing latest technologies. As per the clients' requirements, we are offering these products in different sizes, shapes and thicknesses. It ensures their wide applications in different sectors such as agriculture sector, residential constructions and commercial building construction. 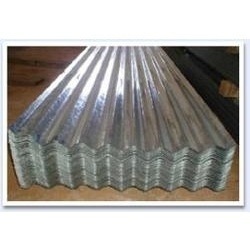 To cater to the requirements of our most valued customers, we are offering them Galvanized Iron Sheets which are procured from the leading vendors. 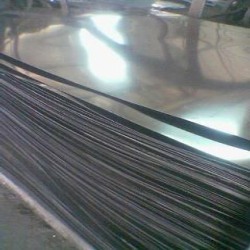 Our vendors are highly enriched with advanced resources and manufactured these products with top-grade galvanized iron implementing latest technologies. These products are suitable for the industrial applications owing to their optimum performance and high strength.